Every species has its natural rival. Cats have mice. Wolves prey upon deer. Zebras are hunted by lions. Mailmen are weary of dogs. 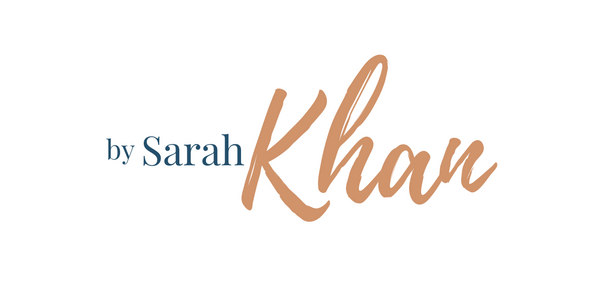 Sarah Khan’s arch nemesis? The water bottle. Possibly the result of a widespread conspiracy, water bottles strongly object to be opened by me. I twist, I turn, I grunt, I moan, I beseech the higher powers, but the stubborn containers responsible for my despair sit there, poker-faced, taunting me with their obstinacy. Dasani, Aquafina, Evian, Fiji, Poland Springs—they’re all in it together. I once spent an entire evening engaging in combat with a bottle of Gatorade, attacking it with pliers and stabbing holes in its cap with a knife, all to no avail. Eventually, my rather diminutive roommate came home and effortlessly unscrewed the top, all the while chattering about her day. I like to think I’d loosened it for her, of course. Some might presume that I play up this feeble act as a ploy to woo unsuspecting men. While I’m sure boys appreciate the opportunity to play the role of chivalrous and macho knight-in-shining-armor to my damsel-in-bottle-opening-distress routine, I’m really not looking to be impressed by anyone’s unscrewing prowess. Sorry, guys, I’m not flirty. Just thirsty. While many of you may be quick to write me off as a weakling, deeming my own physical shortcomings and rather delicate stature as the culprit, I suspect a more grave affliction may be to blame for my condition: I lack the bottle-opening gene common in most humans. My inability to free beverages from the confines of their vessels must have been written in my DNA; my non-bottle-opening-ness is as much an integral part of my identity as curly hair, speed-talking, and French-fries-and-mayo eating. But science has made great strides, and I have faith our medical community is on the road to curing this, my only defect. Until then, just point me to the nearest water fountain. special thanks to yaser ahmed for inspiring this discourse. If I didnt know you, I would think this is a ridiculous exaggeration…but I’ll personally vouch for sk’s lack of bottle opening capabilities. And it actually does give me a strange sense of usefuleness and self-worth that I can open these bottles for you — I can only imagine the ego boost it gives men. Hmmm, we’re going to have to practice water bottle-opening. We can’t have a defective Khan now can we? Dude write one about capri sun pouches, those used to drive me nuts as a kid and the yard duty would never get to opening mine. nice sarah. a fun read! Since you’re my big sister and I reserve the right to show off your hysterically funny blog to my friends (my wonderful roommate Kelsey, for example), imagine my shock when I looked and saw that you actually posted the first new entry in nearly a year a month ago and said nothing of it to me. I am appalled. That is all. (Yes, I also posted the above on your facebook to make my point).